At Tradoak our skills and materials mean we are often called upon to help restore historic buildings. 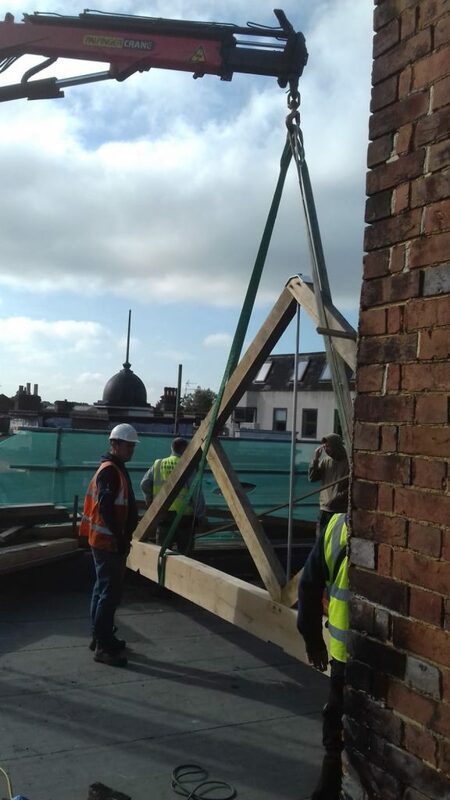 Earlier this year, we fabricated roof trusses after a restaurant was severely damaged by fire. Cote brasserie, in East Street, Horsham, caught fire in September last year. The building had previously been Ye Olde Kings Head Hotel. Built circa 1400 it underwent a major refurbishment in the 1800s. It was imperative the fire-damaged roof was restored using traditional techniques. “The conservation people were quite insistent that it went back with the same detail of jointing as it had originally, which I fully understand,” said Tradoak owner Neil Peskett. In May, we fabricated two roof trusses using air dried oak to match the originals damaged in the fire. 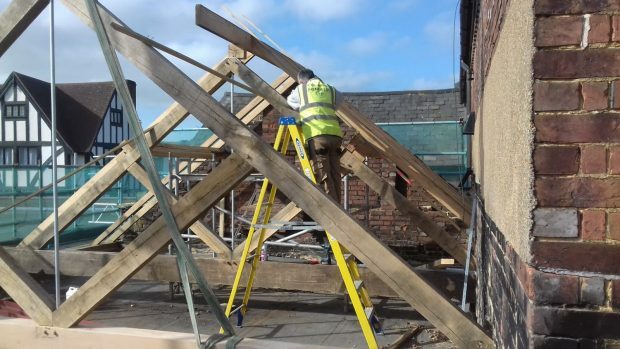 We also supplied wall plate material, jointed with a bladed scarf joint as the originals and supplied all rafters and purlins, in air dried oak, for the contractors to fit on site so that the roof structure replicates the original. “It is a very old building and we were able to make all the trusses and joints to match exactly what had been done in the 1800s,” said Neil. Cote brasserie is due to reopen later this year. To find out how Tradoak could help you restore an historic building visit our homepage or call 01825 723648.